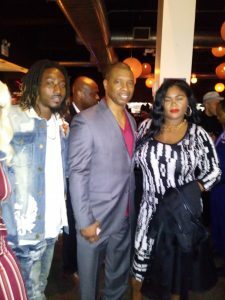 September 28, 2018, Brooklyn New York City was the place to be as the new television series “The Klein Syndicate host a special evening for the series cast and staff that starred R&B vocalist Carl Thomas. Friends and supporters poured into the Milk River Night Club and Restaurant located at 960 Atlantic Avenue in Brooklyn, New York. By 10:00 PM there was standing room only. Patrons crowded around various film and television screens throughout the venue to get a sneak peek of the upcoming series pilot “The Klein Syndicate”. 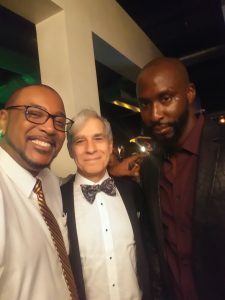 The series writer and director Sura Khan was in the building but spent a great deal of time outside the venue greeting guest and also awaiting the arrival of Calvin Bacote, the executive producer, and subject of the series. Calvin Bacote arrived at 11:00 PM to applause and hugs from the series cast, spectators and supporters. 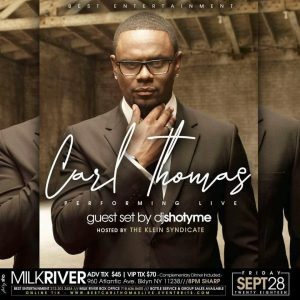 On the inside of the packed venue, the guest was singing and dancing to the R&B sounds of Carl Thomas. The event was filmed for the Klein Syndicate- Behind the Scene web series that is in its 7th episode according to insiders. A behind the scene video is scheduled to be released October 2, 2018, on The Klein Syndicate Channel see link below and video below. 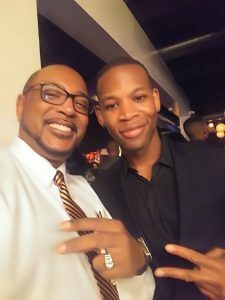 The Klein Syndicate is a new television series written & directed by Sura Khan with Calvin Bacote and starring Lambert Tamin as Klein. The series recaps the life of 1980’s drug lord known on the streets as the Brooklyn Don and Klein. Sura Khan stated that getting involved with the project was a no-brainer for him once he studied Calvin’s life and understood the force for change and inspiration that Calvin can be today, especially for the youth coming up today. 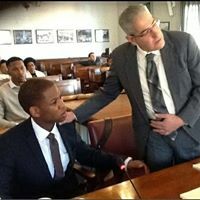 Calvin speaks at prisons and youth programs hoping to inspire and reform. He also spoke at Harvard University. Lookout for The Klein Syndicate television series, currently in production filming season one of the series. Coming soon.